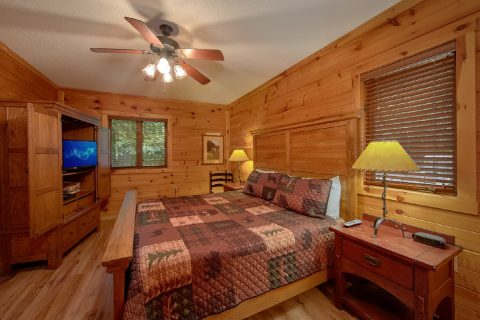 Get ready for an excellent cabin vacation that's close to the best things to do and see in the Smoky Mountains! 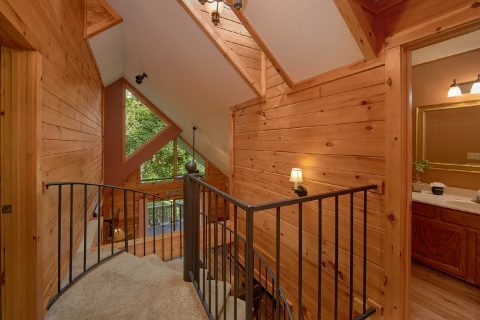 "Bear Crossing" is a lovely 4 bedroom cabin rental in Chalet Village that's only 1 mile from Ober Ski Mountain and only 2.5 miles from Downtown Gatlinburg! 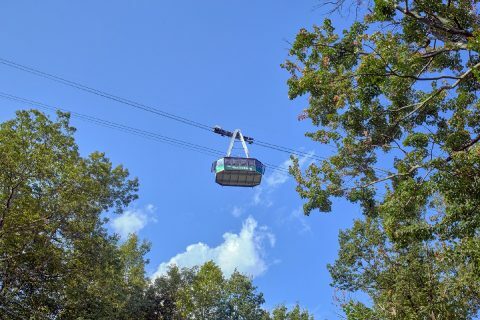 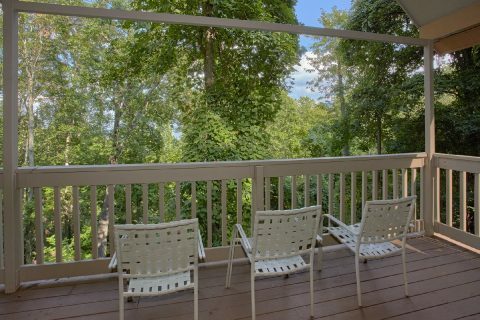 As a result, guests of this rental will enjoy quick access to top local attractions like Ripley's Aquarium of the Smokies and Anakeesta Gatlinburg. 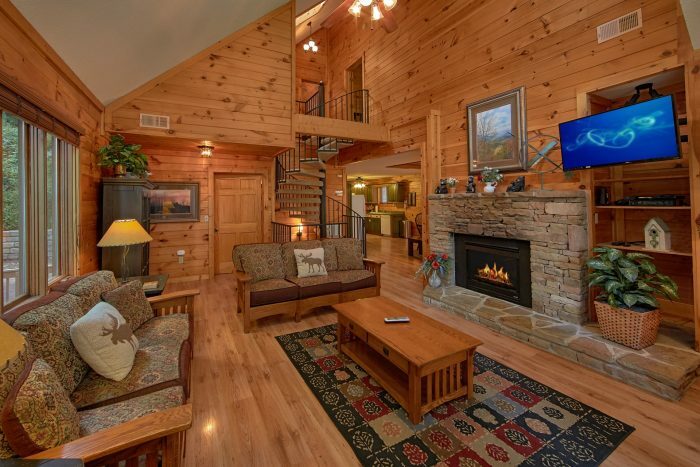 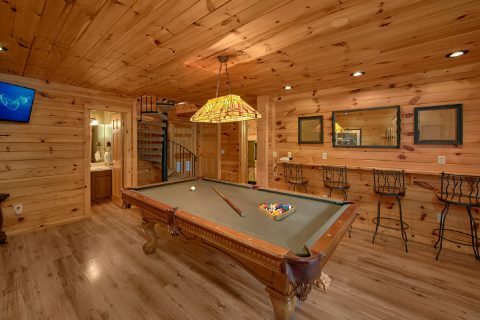 This cabin's great location near Ober also makes it perfect for enjoying a Smoky Mountain ski trip. 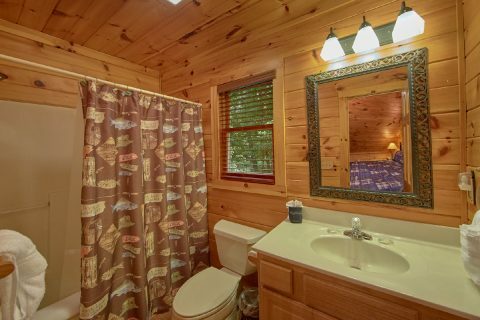 Additionally, this cabin rests only 4 miles from the Sugarlands Visitor Center in the Great Smoky Mountains National Park, so guests of this cabin can easily reach top local sights like The Laurel Falls Trail and Alum Cave Trail. 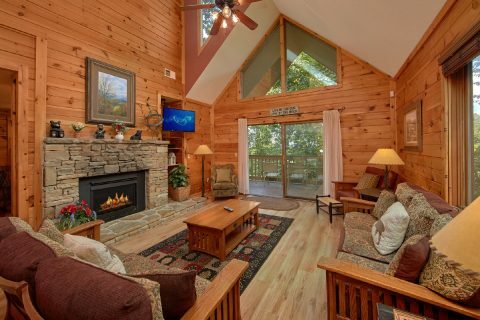 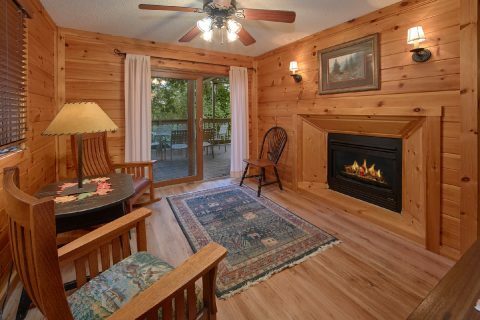 When you aren't busy exploring fun attractions in Gatlinburg or hiking in the Smokies, you'll love relaxing at your log cabin in the mountains. On the main level, you'll find a welcoming living room complete with vaulted ceilings, large windows, a television, and a see through gas log fireplace. 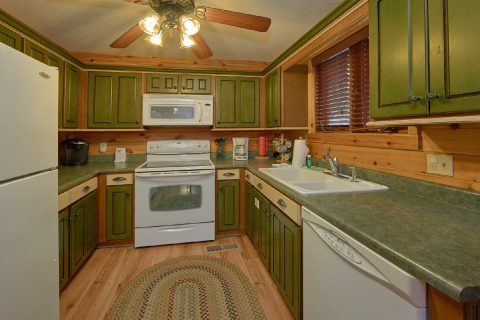 Nearby, your rental provides a full kitchen and a spacious dining area for enjoying meals in the comfort of your rental. 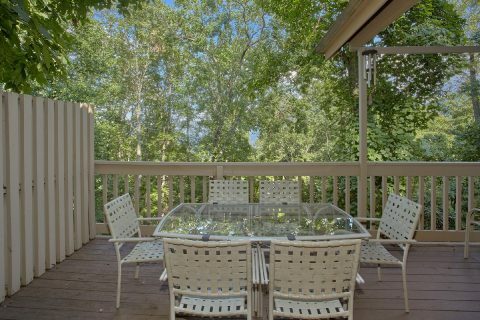 Additionally, there's a charcoal grill if you'd like to host a cookout on your Smoky Mountain vacation. 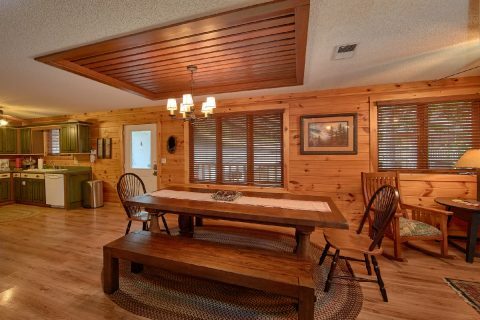 Your cabin's main level deck also comes with a table and chairs, so you can enjoy eating outside surrounded by the beauty of nature. 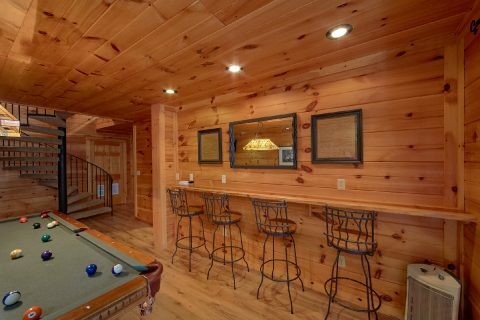 Downstairs, you'll have a blast playing billiards on the pool table or trying to set the high score on the multi game arcade! 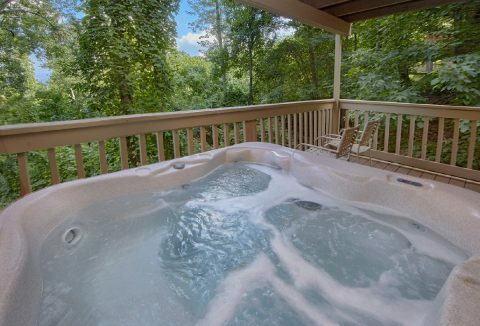 From here, you can step outside to a lower level deck that provides a hot tub, so you can enjoy a relaxing soak during your stay. 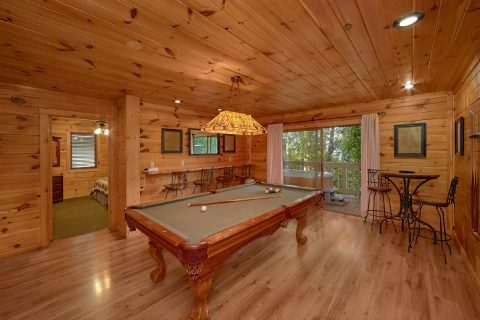 As an added perk, this Chalet Village Resort cabin offers access to a resort swimming pool and tennis courts during the warm summer months. 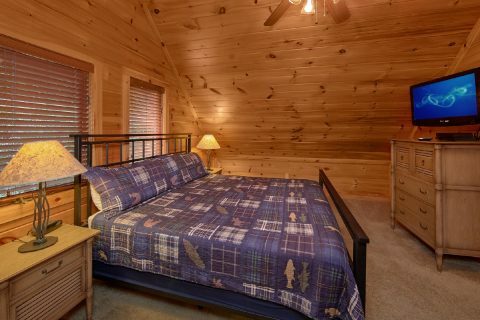 Once you're ready to get some rest before your next day of vacation, you can look forward to sleeping in one of your cabin's 4 spacious bedrooms. 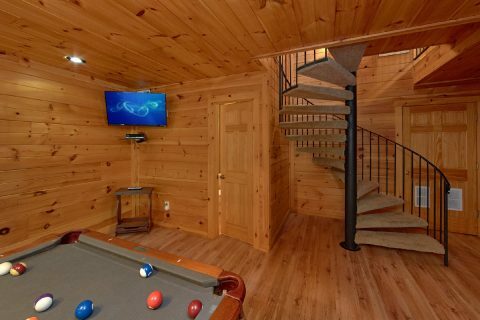 On the main level, you'll find 1 king-size bedroom with a television and DVD player. 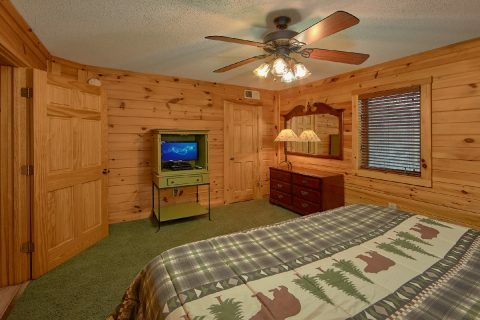 Upstairs, there are two more king-size bedrooms with their own televisions. 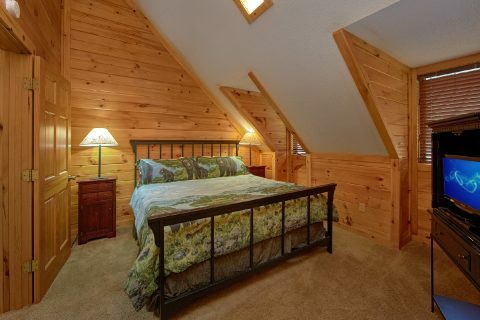 Lastly, the lower level of this cabin provides a king-size bedroom as well. 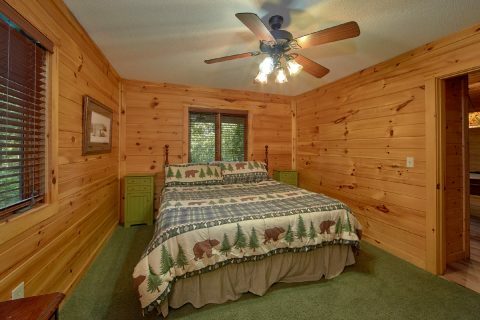 In total, "Bear Crossing" can comfortably accommodate up to 8 guests in comfort, so it's just the right size for a family vacation or a fun getaway with friends! 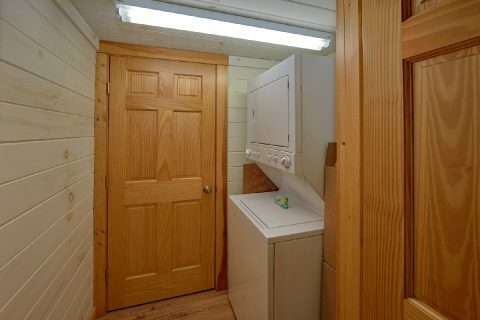 Lastly, this rental comes complete with practical amenities like WiFi Internet a Washer & Dryer to use during your stay. 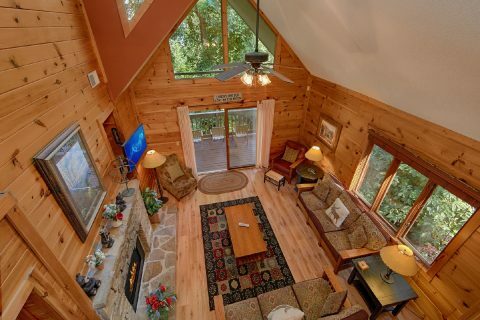 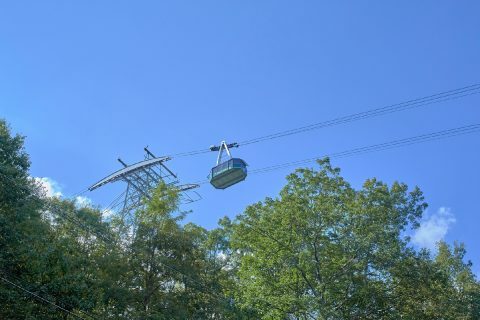 Book "Bear Crossing" with Cabins USA today to earn a 15% discount on your log cabin that's only minutes away from Downtown Gatlinburg, Ober Ski Mountain, and the Great Smoky Mountains National Park!